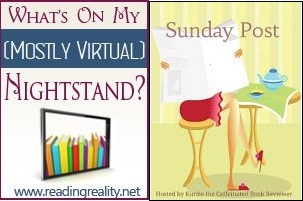 The Sunday Post AKA What’s on my (Mostly Virtual) Nightstand 12-2-18 – Escape Reality, Read Fiction! On the one hand, both of us are sick. One of the folks we visited over Thanksgiving had the crud, and now we have the crud. No one is happy about the crud. On that other hand, in spite of the above, we went to the second night of Elton John’s farewell tour last night here in Atlanta. And it was absolutely awesome. Captain Fantastic is still fantastic, and the show was terrific. I’m so very glad we went, even if we’re both paying for it a bit today. If the tour is coming to your town, get tickets. And on my alien third hand, it was a damn good week for books. And this coming week includes one of my annual treats, the latest collection of Sherlock Holmes inspired stories edited by Laurie R. King and Leslie S. Klinger. 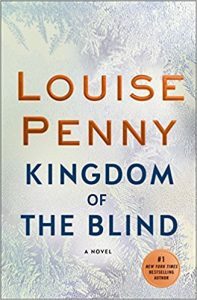 I’m planning to start it this afternoon, and it looks like fun. As always. A cup of tea, a sleepy kitty, and Sherlock Holmes. If I have to be sick, that’s great company to spend the day with! 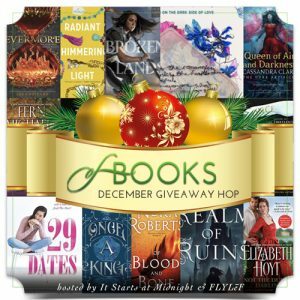 The winner of the $10 Gift Card or $10 Book in the Black Friday Giveaway Hop is Jennifer R.
The winner of the $10 Gift Card or $10 Book in the Super Stocking Stuffer Giveaway Hop is Polly K.
The winner of the $10 Gift Card or $10 Book in the Gratitude Giveaway Hop is Allie G.
The winner of the $10 Gift Card or $10 Book in the November of Books Giveaway Hop is Jaime L.